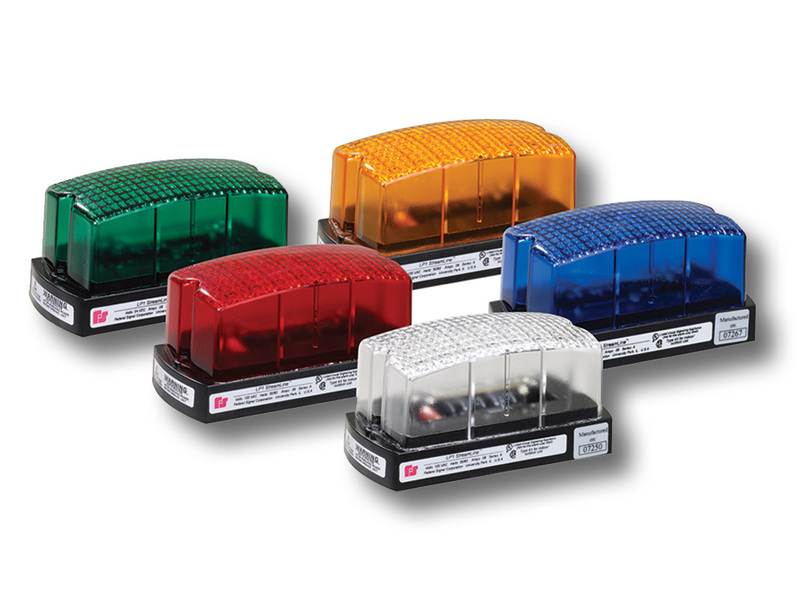 Federal Signal Model LP1 low profile strobe light is a rectangular Type 4X strobe light that is available in five colors: Amber, Blue, Clear, Green and Red. The LP1 is designed to be flush mounted to control panels or other flat surfaces. Mounting is accomplished with two supplied 1-1/4" 8/32 slotted hex bolts. A polypropylene gasket is supplied to create a water-tight and dust-tight seal. The gasket mounts between the base of the light and the mounting surface. The LP1 is especially suited for use on control panels, machines, above entry ways, on walls, and along assembly lines. The 12/24VDC units are suitable in battery backup systems and vehicular applications such as forklifts and moving guided vehicles.